The Relational Self: Are We Merely Experiencing, Using, or Encountering Each Other? What a profound and spiritual contextualization of the self and other—the relational self. 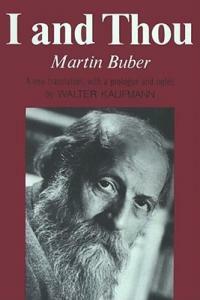 Acknowledging the feminine divine energy and tapping into my spiritual and cultural depths where the notion that God or the Great Spirit is present in all living things, I find Buber’s interpretation that I and You are one for the “basic word I-You can only be spoken with one’s whole being” to be quite refreshing. It was from this space of seeking to not merely experience the other, but to encounter Buber’s I-You, that I was inspired to write the poem Reciprocity and I-You at yet another powerful juncture in my doctoral journey at Saybrook University. Priceless! How can we ignore that? Do I inflict pain or disrespect the other’s spirit? What truth can ever be in believing I am better than You? May I forever dwell in spaces anchored in reciprocity. In everyone I encounter—family, friend, stranger. I see You. I appreciate You in all your Humanness. I yearn for the same. I cease to be, to exist without You. Nakororire! Nimekuona! Namaste! I See You! NOTE: The above poem included in this post was originally written by Kerubo Abuya on October 5th, 2010.